First used in the late 17th century, brocatelle (rhymes with “carousel”) is a heavy fabric with the design in high relief, having a “puffed” or “blistered” appearance. It is used chiefly in upholstery or drapery. The word comes from the diminutive of the Italian word broccato, which translates into embossed fabric. 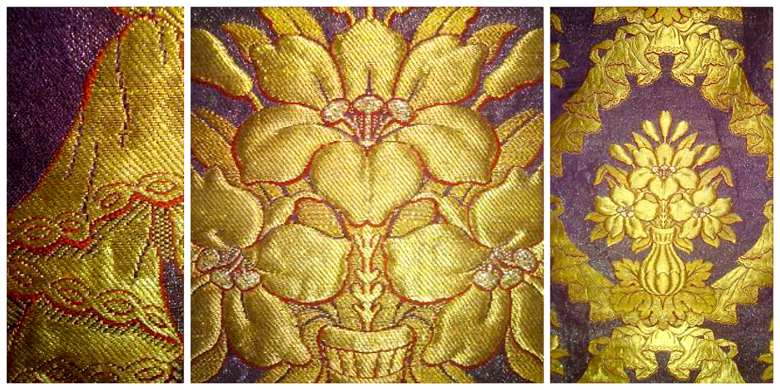 While similar to brocade and damask, its distinguishing feature is its puffed, raised pattern. Some say that the “puffed” designs originally were meant to evoke Italian tooled leathers, while others claim that the early designs were based on Italian marble. I couldn’t find pictures of either! The finest examples are composed of silk and linen, but today other fibers also are used. Mid-19th century French brocatelle collage. The raised pattern is created during the weaving process. True brocatelle is a double weave of a silk and linen warp and a silk and linen filling. The “puffed” look is either created by the fillings, tension weaving of a linen, or, when nylon is used today, shrinkage from the heat process. In this manner, it is different from gauffrage,another way to make embossed fabrics where the pattern is more flat. 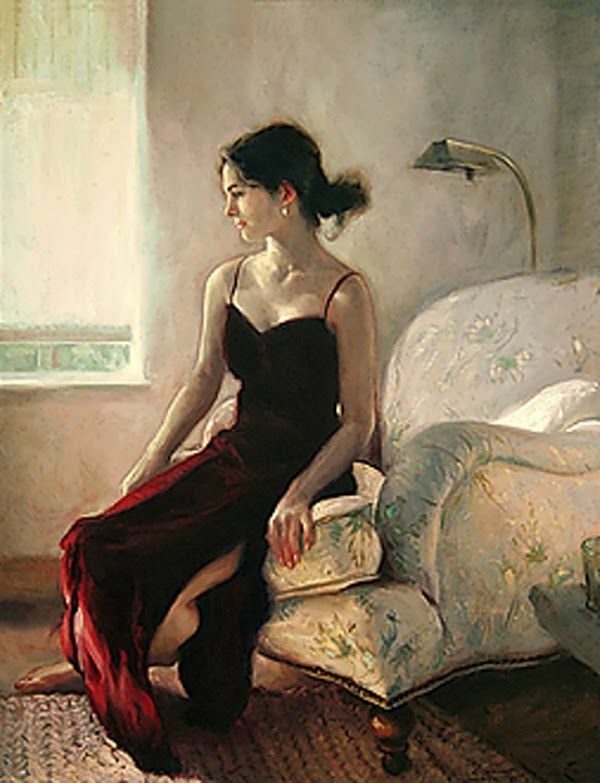 This painting by American artist Glenn Harrington is named “Brocatelle” after the fabric covering the chair. You can just see the light reflecting off of the raised pattern in the textile.